At the beginning there was only one thought: writing my master thesis abroad – that would be something! Just get out of the national environment and into an international adventure, into another country with a different academic status. I was interested in how certain questions are approached abroad, what opportunities companies and universities offer and what approaches they pursue – maybe they are similar to ours but maybe you can still learn something from them and take it back to Germany. Furthermore, it was important to me not only to complete my master thesis, but also to learn a lot – which does not depend on the academic composition of the work – and to face new challenges that I would not have here in Berlin. For example, I wanted to test and improve my English skills. Of course, you can also write your work in English at your own university but in discussions and in everyday life you would always have the temptation to change to German out of convenience. In English speaking countries you are forced to communicate in the corresponding language and to use it. Thanks to the Department of Fluid System Dynamics at the Technische Universität Berlin (TUB) I have already been able to participate in several events of the Nordic Water Network. Thus, I became attentive to the NTNU in Trondheim. Especially due to visits to Trondheim and meetings with professors from NTNU here in Berlin my interest in a thesis in Norway had intensified. Through my childhood in Norway, language, country and people were not alien to me. The decision was made: I would write my master thesis at the NTNU in Trondheim! But how am I supposed to finance it? 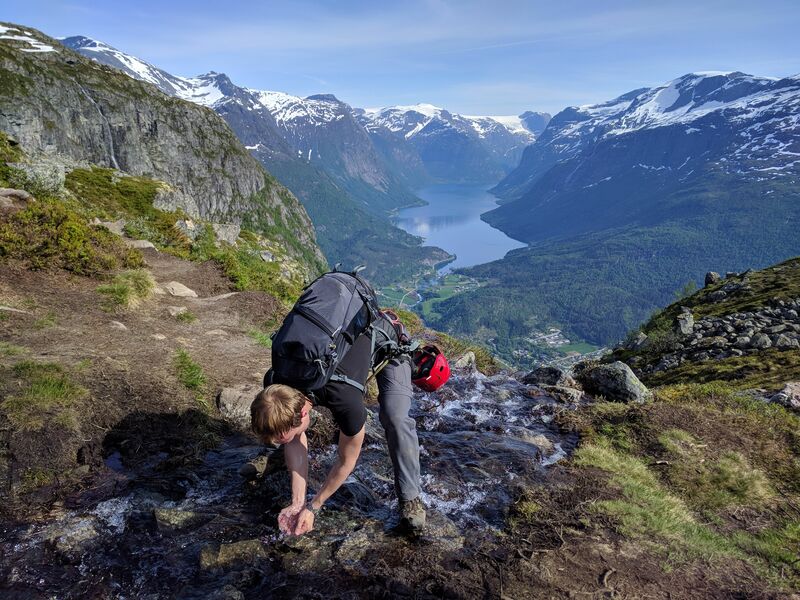 Norway, one of the most expensive countries in the world, is not so easy to afford for a student from Germany, especially when he spends half a year there. Consequently, I became aware of a program of the Nordic Water Network in cooperation with the German Academic Exchange Service (DAAD) supporting student exchange between NTNU and TUB. I immediately prepared all the required documents and submitted my application for this program. When I eventually received a confirmation I was extremely happy and excited to be given this unique opportunity in my studies! Through my previous contacts with the professors I quickly found an exciting topic and a period in which I could tackle it. The organization of the department was excellent and any questions that emerged were answered directly and helpful. The flight and a room in the dormitory were already booked. But please note that during the semester the dormitories are relatively full and you are not guaranteed to get a student flat right away. If necessary, you have to look for private accommodation which is rarely available in Trondheim. I was lucky when I arrived in Trondheim on 22nd February 2018 and could move directly into a newly completed building of the student dormitory Moholt. I shared the accommodation, a generous floor on the 3rd floor of a nine-story wooden building, with 14 other students. The kitchen was big, three people shared a fridge, had their own small cupboard and a drawer in the kitchen and could use the two stoves and ovens as well as the microwave at any time. The open kitchen was integrated into the common room, which consisted of a sofa set, tables and chairs. Furthermore, there was a public toilet on the floor, which could apparently be used by potential guests. Every room had its own small bathroom with shower. A table, a large cupboard, storage facilities and a bed with wooden slatted frame were also provided in the room. The tenant had to bring the rest of the interior (e.g. mattress, blanket, pillow, bed linen, towels, toilet paper, toilet brush, soap, table lamps, chair, etc.). Furthermore, a connection cable had to be brought along for the Internet since there was no WLAN available. Many students who wanted to live there longer have bought their own router for the time. Important! SIT bolig’s accommodation contracts are usually for whole semesters. This means that they are only valid for fixed periods of time which might not meet everyone’s needs. Apart from that, the time in Moholt was very pleasant, you could always have contact with the flat mates but you could also withdraw in the acoustically well shielded room if required. There was also a separate washhouse, a fitness studio within walking distance, two shopping centers (Bunnpris, Rema1000) near the student residence and a few sports facilities such as beach volleyball or trim park. It took me about 25 minutes walking from my accommodation to my workplace at NTNU near the Lerkendal Stadion and there is also a good bus service. 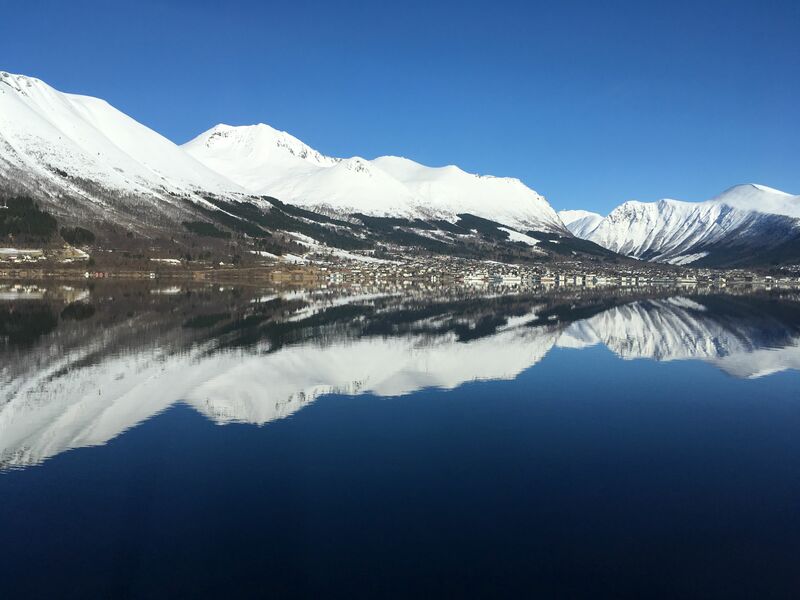 After the first meeting with my professor I drove to Ørsta, the place where the company Artic Nutrition is located, where I was allowed to record measurement data for my master thesis using a test facility and work in the laboratory. On site I had a supervisor who was a PhD student at NTNU and an employee of the company. The support was outstanding and the company’s employees were very friendly. 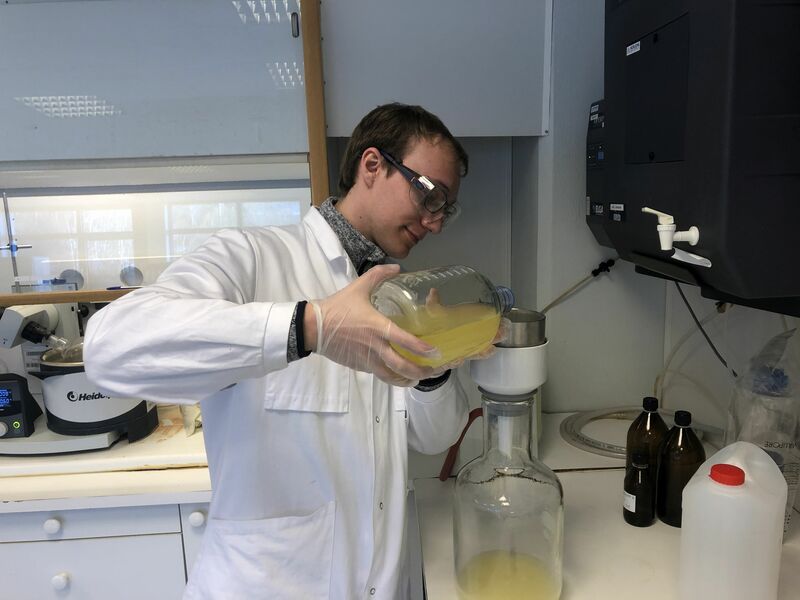 Through the connection of NTNU, Artic Nutrition and the project I was able to learn a lot and put it into practice. An accommodation was provided by NTNU as long as I had my accommodation in Moholt. An exit from the tenancy with SIT bolig would have meant the loss of the room for the time back in Trondheim. So, I worked on the plant until the beginning of June and regularly exchanged views with my professor on further procedures and discussed the structures of the master thesis. 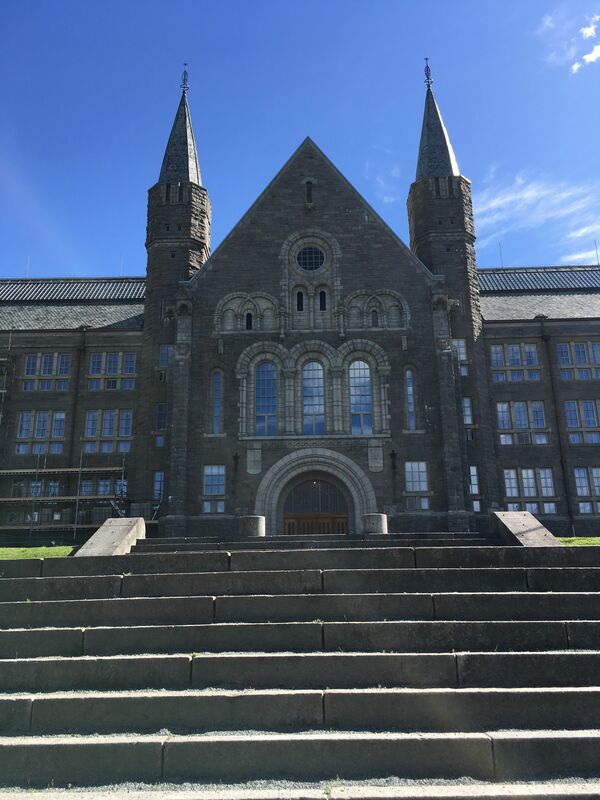 After this fantastic time – I can only warmly recommend the landscape at this place – I went back to the NTNU in Trondheim to work with my professor on the paper. Moreover, I was in contact with my supervisor from Ørsta. The cooperation was extremely productive and educational. At the end of August I landed in Berlin with two suitcases and a huge repertoire of experiences, knowledge growth and many, many beautiful photos and new contacts. The decision to go to Norway and write my master thesis there was absolutely right! Not only the successful progress of my thesis and the routine in speaking and writing English, as well as the contacts I made during this time were more than rewarding. But also the unique and breathtaking landscapes of Norway, the people and the view from “outside” on life in Germany have had a positive influence on my own life and gave me many interesting thoughts. At this point I would like to thank NTNU, Artic Nutrition and TUB and last not least the DAAD for making this stay abroad possible. I would particularly like to thank Markus Fischer for his untiring organizational engagement.